I’ve come to Florida to find magic. And on a sun-drenched morn, watching Atlantic bottlenose dolphins dance and play in Pine Island Sound’s shallow waters, as the Lady Chadwick slowly steams toward Marker 60 of the Intracoastal Waterway, my mission looks good. Since leaving Captiva Island, a subtropical sliver of land in the state’s southwest near the beaches of Fort Myers and Sanibel, Captiva Cruises’s captain Bob Rando has been pointing out wildlife, islands teeming with ancient legends and a lifestyle I want to lose myself in. That these lush Gulf Coast barrier islands escaped the skyscrapers found in more touristy areas is a credit to citizens who felt commercialization would destroy the natural beauty. On Sanibel, buildings can’t be higher than the tallest palm tree. And two-thirds of its land is forever protected in the J.N. “Ding” Darling National Wildlife Refuge. Quite right, I think, while completely surrendering to the slow-down-and-savour vibe as we sail toward our destination: Cabbage Key, a 100-acre island accessible only by boat that has been a blue zone of inspiration since 1929 when mystery writer Mary Roberts Rinehart (think an American Agatha Christie, not as famous but richer) acquired the island. The family built a winter estate, where it’s said she positioned her desk to never miss a sunset. True or not, the lyrics play “When I’m in port, I get what I need,” when we step from the Lady Chadwick and wander past leafy palms to Cabbage Key Inn, famous for, yes, cheeseburgers. The next day, on a tram through the Wildlife Refuge, I watch a yellow-crowned night heron stalk the shore for supper, scan the horizon for gators and spot flamingo pink wings of four roseate spoonbill wading birds. “It’s about as natural as you can get,” says guide Donna, who tells of Darling, the syndicated political cartoonist, who arrived in the 1930s and realized that without help, Sanibel’s ecosystem wouldn’t exist. His efforts – including driving conservation home in his cartoons – helped create the Sanibel Wildlife Refuge, later renamed in his honour. Over four days, between sunrise strolls and margaritas, I’m seduced by snatches of old Florida, inspiration for visionaries like Thomas Edison and Henry Ford. They wintered along Fort Myers’s Caloosahatchee River when other American industrialists were choosing Miami and St. Augustine. “He wasn’t a party boy,” guide Lisa says of Edison at the Edison and Ford Winter Estates, 20 acres of historical buildings, gardens, labs and museum. Edison first purchased his property in 1885. He built his vacation home there, then, in 1916, his friend Ford purchased the adjoining property. 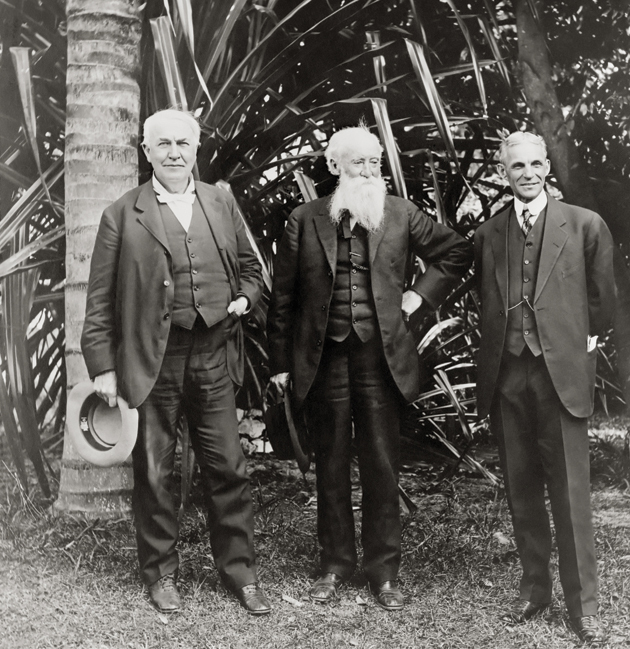 “Edison was looking for a place, quiet, beautiful and subtropical.” He also brought the first Royal Palm to Fort Myers, which now majestically line McGregor Boulevard, the former cattle road he transformed. A version of this article originally appeared in the March 2015 issue with the headline, “Spellbound in old Florida,” p. 54-55.